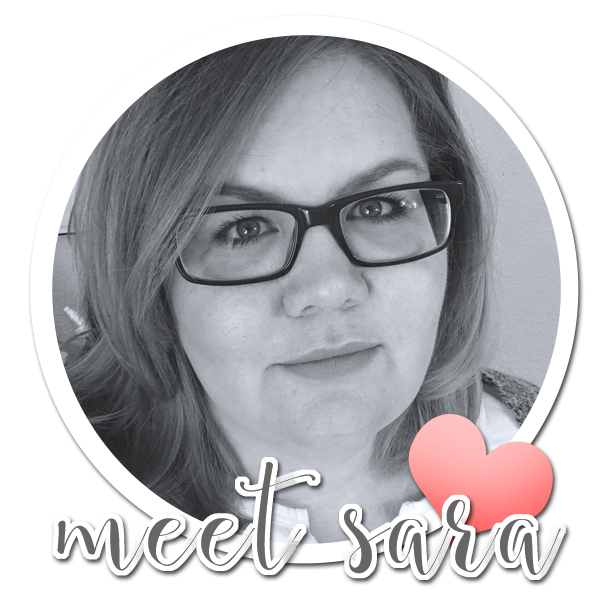 Much love, Sara | Cards & Paper projects made with love: Buy & Win! 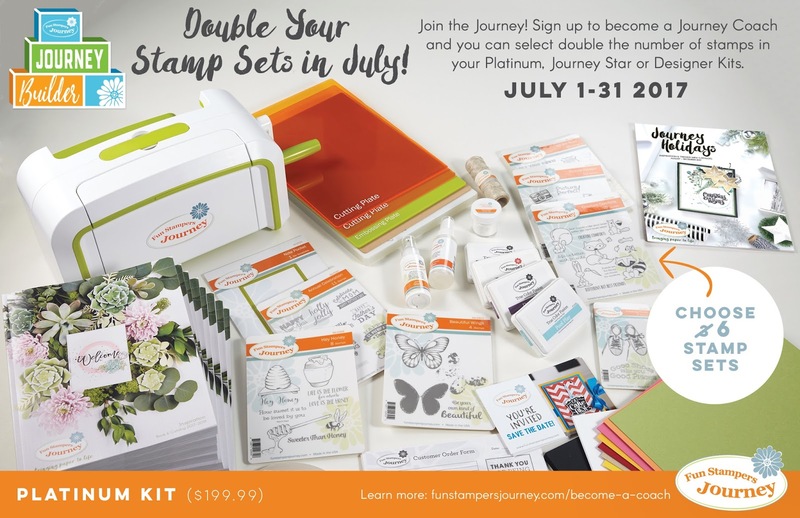 If you've been thinking about purchasing from Fun Stampers Journey, or just want to try out the products - July is the perfect time to do so! Wanna know why? 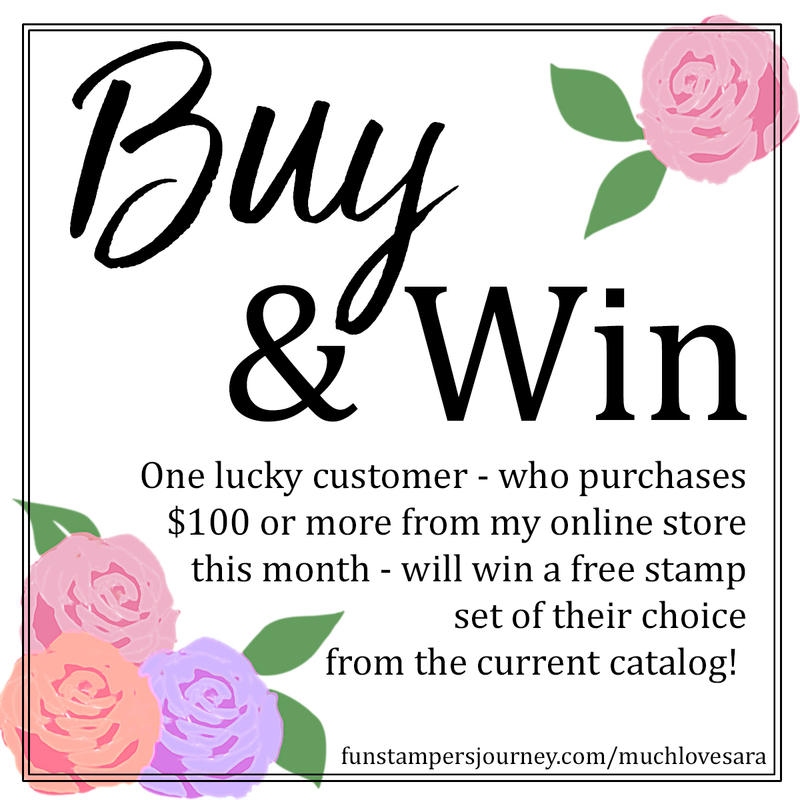 Because EVERY order over $100, that is placed with me in July, is going to be entered into a drawing for a free stamp set. 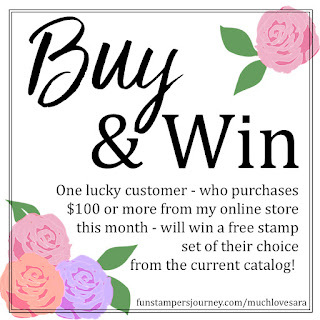 That's right, you get the items you ordered, PLUS a free Bloom Benefit for every $50 you ordered, PLUS you start earning Hostess rewards if your order is over $150, PLUS you get a chance for another free stamp set of your choice! That's a LOT of Pluses! 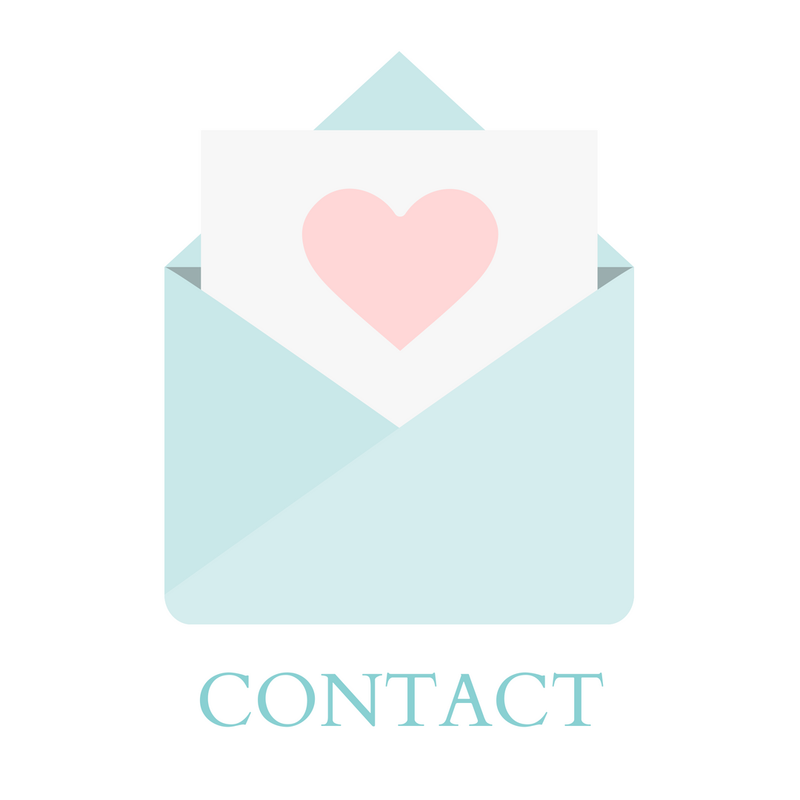 Click on the shopping cart on this blog, or click the link below to place your order now.